Bismack Biyombo returns to Charlotte. All is right in the world. THEY COULD BE 3-0. 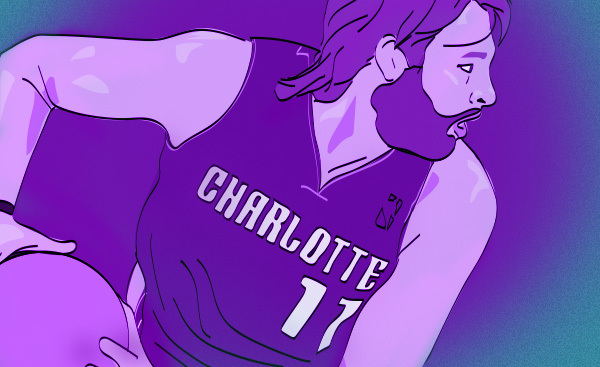 Change just a handful of late game possessions and Charlotte could be undefeated. The Memphis loss came down to some atrocious 36% shooting and a few key 4th quarter defensive lapses. The loss in New York could’ve been avoided with an impartial ref and a healthy MKG. Encouraging stuff for a team that hasn’t really figured each other out quite yet. LANCE + KEMBA. Two guards who love dribbling. Lance is a good one-on-one player who is under the impression he is great; turnovers ensue (3TOPG – YIKES!). 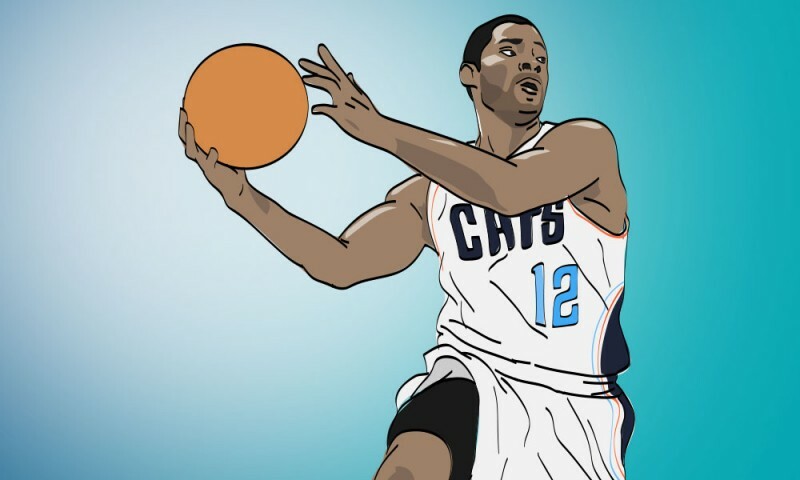 Kemba started the season 10-37 from the field. If Coach Clifford is going to play these guys together in crunch time, Kemba will need to become a better catch and shoot player while Lance refines his drive and dish game. It’s either that or one sits in favor of Brian Roberts or Gary Neal. FREE BIZ! 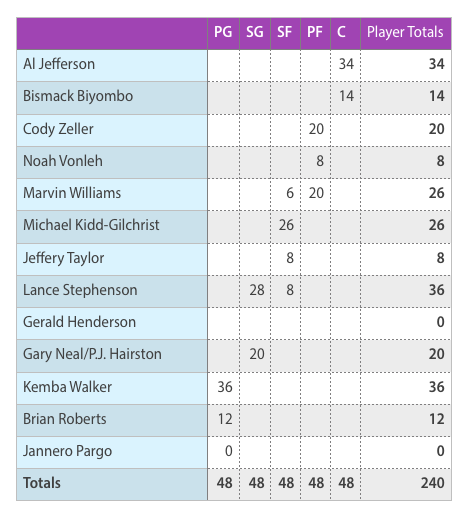 I get Clifford’s reasoning for going Maxiell over Biyombo at the backup center. 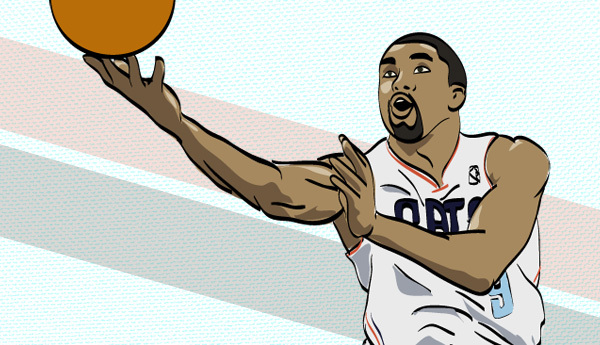 Maxiell is (theoretically) a better all-around player. He knows where to be on both ends. 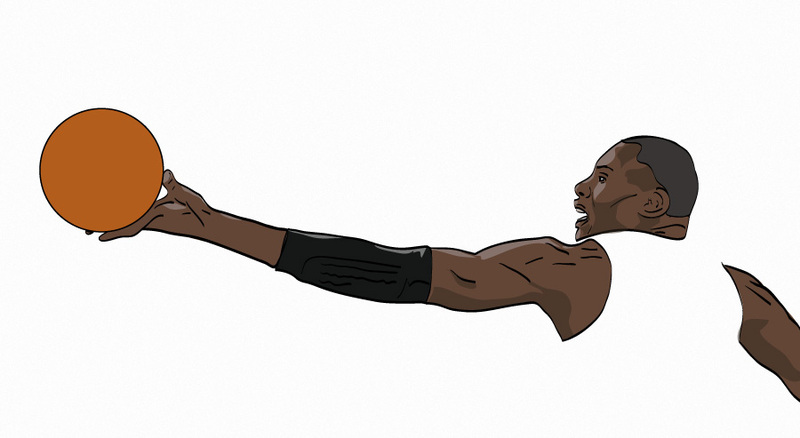 He (theoretically) has better hands and is more of a threat to actually hit a mid-range jumper as a safety valve. He’s a banger and a veteran. The problem is that A.) Jason hasn’t exactly lit the world on fire with his shooting (3-7) or rebounding (1.7 per) and has already logged a 3 turnover game AND B.) the Hornets are giving up a way too much stuff at the rim (see Bradford’s tweet below). So if you’re going to play an offensive liability as Big Al’s backup, why not give Biz one more shot to prove himself? $100 says Charlotte trades for a two way backup center before the deadline. 12 turnovers. 16 fouls. 6 fast break points surrendered is better. Giving up 50% shooting and 30 points on the paint is not good. WING ISSUES. Jeff Taylor really screwed the pooch. The team desperately needs another big wing who can guard oversized SFs and Taylor had the gig lined up until his Michigan Mishap. DV is no laughing matter so I’ll stick to discussing the incident’s impact on the court. Once MKG went down at the Garden, the Hornets had to rely on Lance as a Melo cover and it just didn’t work. Stephenson has the strength to guard big threes but lacks the length and has to save too much energy for the other end. Hendo gives up even more size. I’m not as high on Taylor’s upside as some but I’d love to have him for 10-15 minute spot duty against certain matchups. THEY’LL GET BETTER. Let’s face it, these Hornets have no idea how to play together yet. But last year’s Bobcats started slow too. 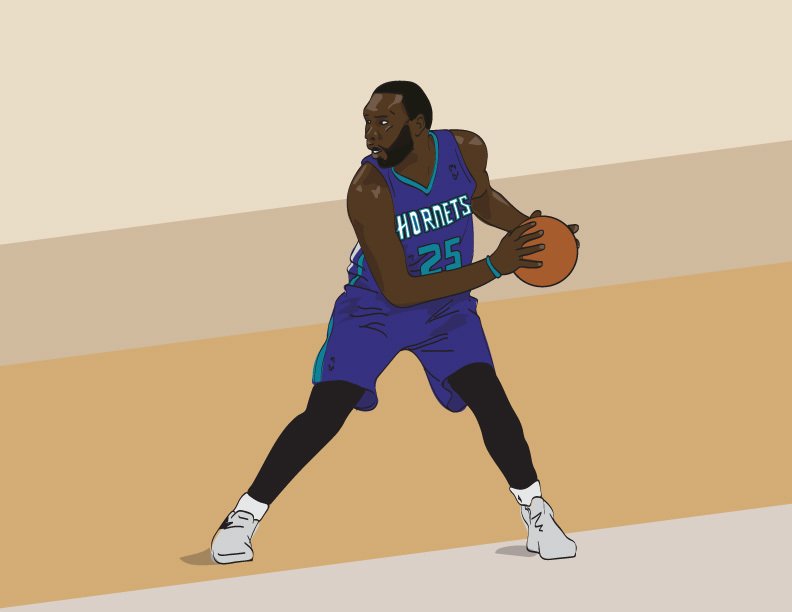 Once Clifford sorts out the Lance/Kemba dynamic and the team re-learns the defensive harmony that worked so well last season, the Hornets should take off. There is just too much talent for them not too.